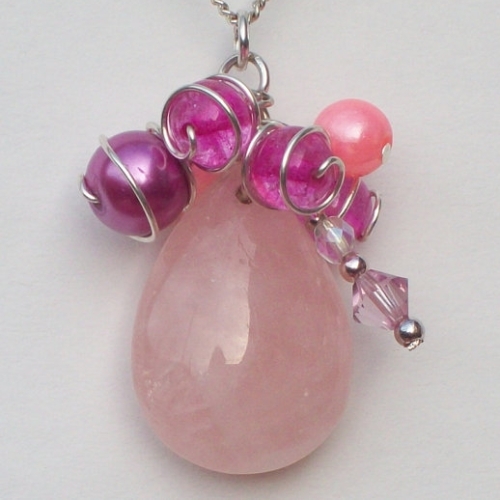 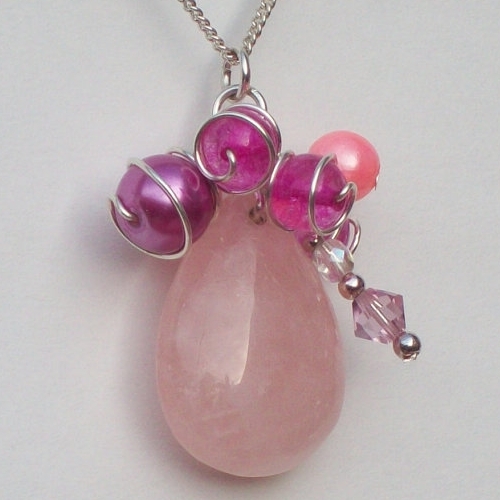 Rose quartz teardrop pendant topped with caged pearls and glass beadsand finished with a Swarovski crystal and clear AB coated beads drop. 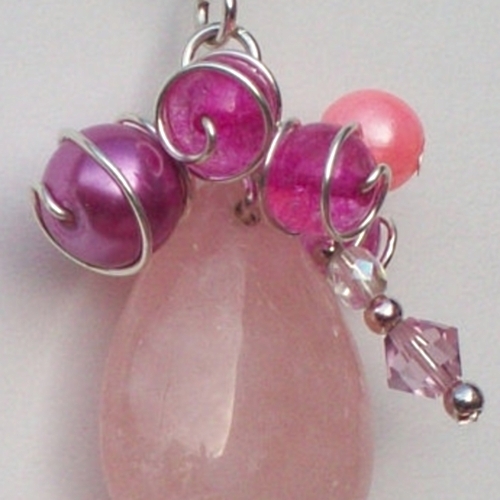 The beads are hand wrapped using silver plated wire. 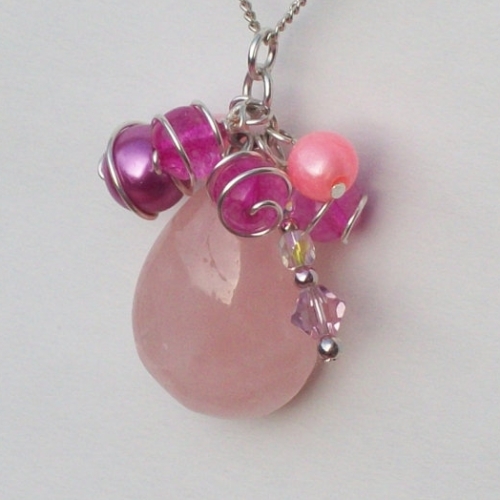 The pendant is 4cm x 2cm wide.